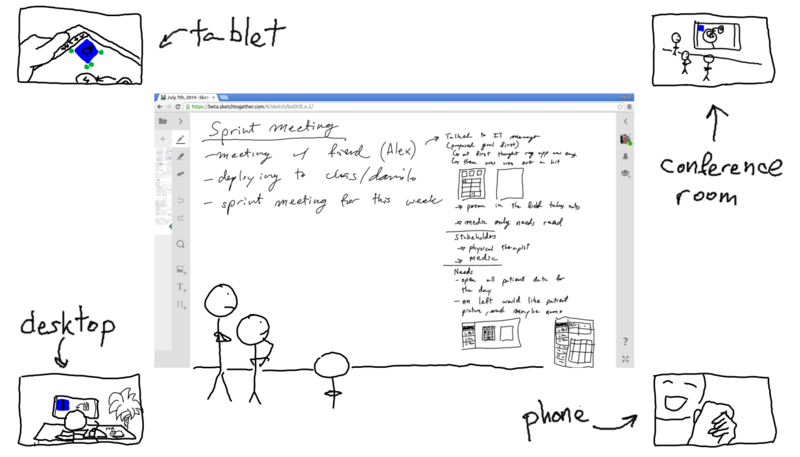 Join a shared whiteboard from anywhere in the world. Use your PC, laptop, or tablet. Meet remotely to discuss and make decisions in groups. Prepare meeting notes in advance or join an ongoing discussion. Everyone has a voice and can contribute their ideas in real time. Add text and pictures to enrich your brainstorming sessions. Use the fading highlighter to make everybody follow your explanations. Organize content using SketchTogether's intuitive gestures, and never worry about running out of space. 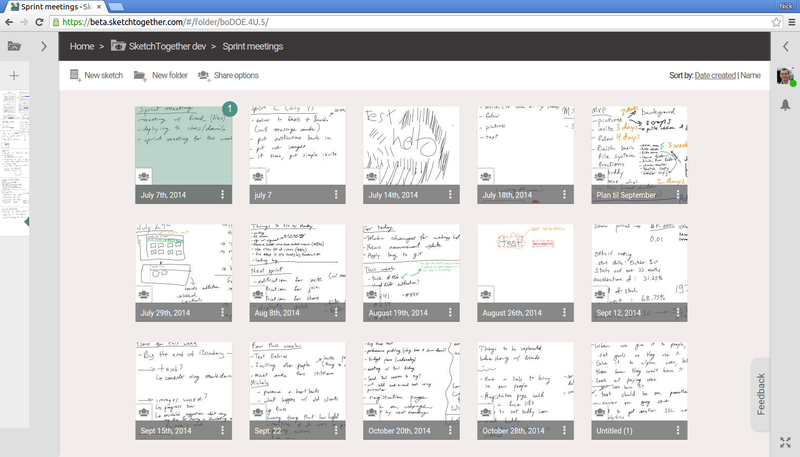 All meetings in SketchTogether are automatically securely saved to the cloud, and can be shared with collaborators. Preserve your ideas by keeping your notes in SketchTogether and access them at any time from all your devices. Share your sketches with others when you want to start a discussion, or set up shared folders to create a collaborative workspace with your team members. Pick up where you left off by reusing sketches. Groups can import existing designs or pictures of physical whiteboards to archive their discussions. Quickly create mockups and get feedback from your team. Create mockups and diagrams as easily as you would with pen and paper, but with more power and flexibility. Use the lasso gesture to quickly move around the parts of your design and freely edit them without losing detail. Compare iterations by creating copies and trying deviations. 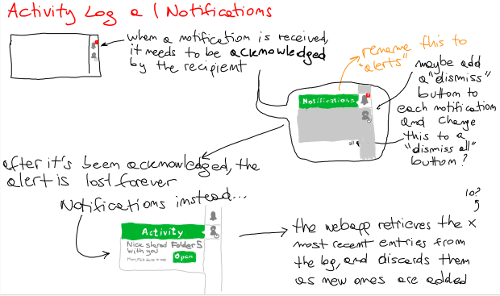 Creating and iterating on mockups with colleagues in real time reduces time spent in back and forth emails. 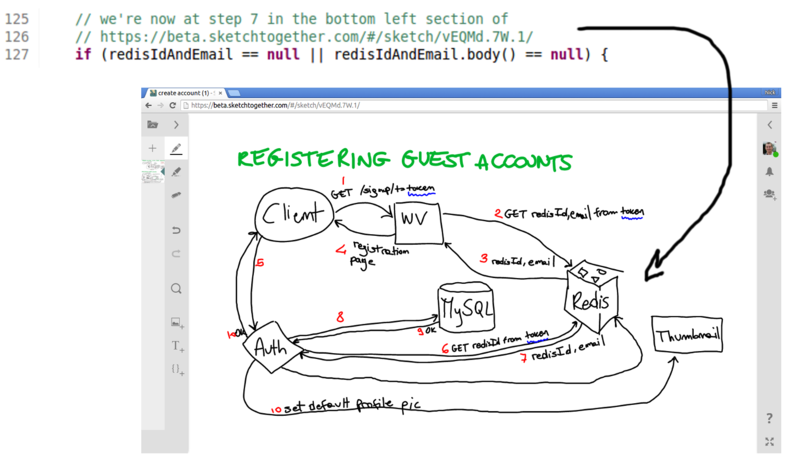 Use links to your sketches to provide immediate visualizations in documents or code. Make your plain text documents easier to understand by adding links to sketches and diagrams. Meeting notes, design documentation, software source code, and other text-based documents can be easier to understand with a simple diagram that visualizes how it all fits together. Help your listeners understand your explanations by drawing them one piece at a time. Start with a blank page, or import a picture, and walk your listener through a concept. Listeners can point at parts of the sketch they don’t understand and ask questions by marking it themselves.